At our optometry clinics, The Eye Center of Okmulgee and The Eye Center of South Tulsa, an eye doctor will provide you with a thorough examination that goes beyond the traditional vision test. An optometrist from our Bixby or Okmulgee center evaluates people for issues like amblyopia, more commonly referred to as a lazy eye. We'll also find the best course of action to prevent further complications. Amblyopia defines a condition that occurs when a person has reduced vision in one eye, typically caused by an abnormal development in one's vision early in life. The eye with weaker vision will wander outward or inward. 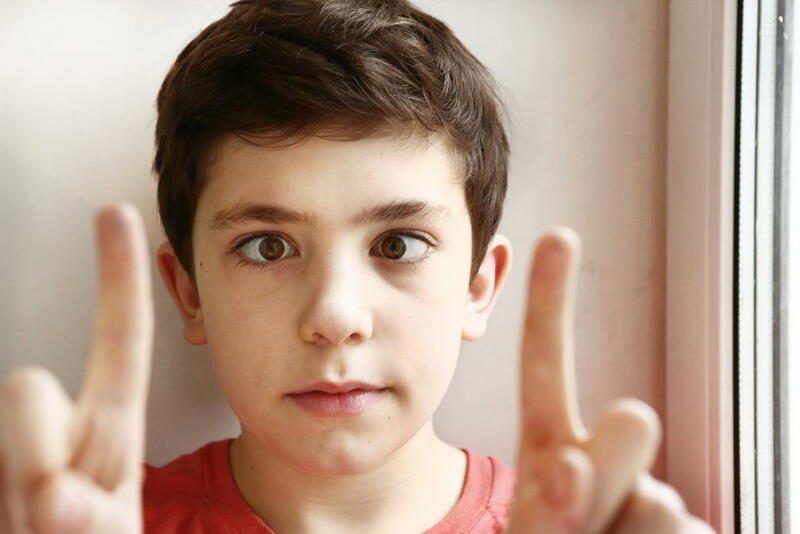 In a majority of cases, a lazy eye develops between the ages of birth to seven years of age. For children, it's the leading cause of a vision problem in only one eye. It's rare that a person will have two lazy eyes. Diagnosing the problem early is the course of action that leads to the best prognosis. Parents should be aware of the symptoms, so they can take their child to our optometry office as soon as possible. People who have a lazy eye will notice the affected eye will wander either outward or inward. When you look into the child's eye, the eyes may look like they're not working together. People who have amblyopia tend to have poor depth perception. They may squint or shut one eye to see objects clearly. When a child who has a lazy eye does have a vision screening, he or she will tend to have abnormal results. In some cases, an eye exam is the only way to tell if a child has a lazy eye because sometimes amblyopia won't cause any symptoms. Keep in mind, if a lazy eye isn't diagnosed early, it can lead to blindness. Early intervention can reestablish the connection between the affected eye and the brain. Optimally, the best results occur when a child receives treatment before the age of seven. Treatment is dependent upon the cause of the lazy eye and the severity of the condition. An optometrist will determine the root of the problem and may prescribe glasses or contacts to correct issues like farsightedness, nearsightedness or astigmatism that can attribute to a lazy eye. An eye patch can assist with strengthening the weak eye when the child places it on the stronger eye. A Bangerter filter may be placed over the stronger eye in order to blur it, so it stimulates the weaker eye. Atropine eye drops can help by temporarily weakening the stronger eye. In serious cases, your child may need surgery. We can provide a referral to an eye surgeon if this is the case. If you believe your child has symptoms of a lazy eye or is just under the age of seven, you should schedule an appointment with an eye doctor from either The Eye Center of Okmulgee or The Eye Center of South Tulsa for an examination. Contact us by calling our Okmulgee location at 918-756-0316 and our Bixby location at 918-369-3937.